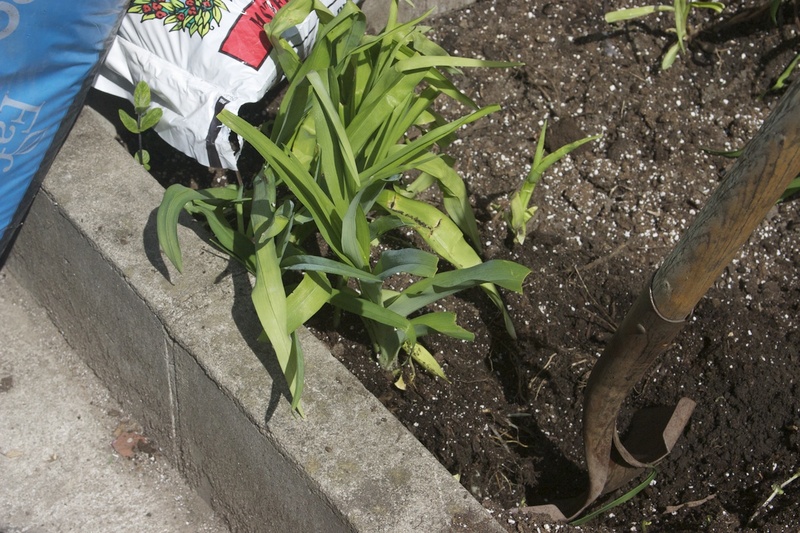 When it comes to organic gardening, the wisdom seems to boil down to “add compost”. So the previous year, 2013, I added a TON of compost from various sources, along with several other healthy soil amendments to lighten and improve the soil. 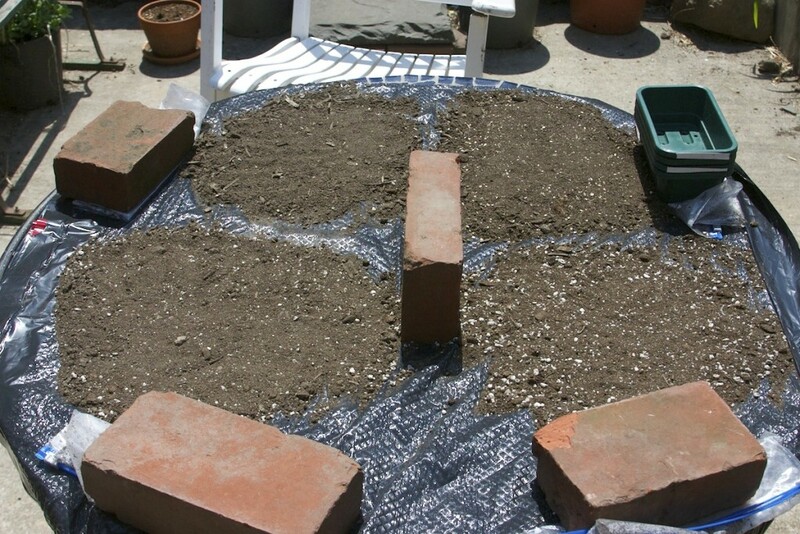 All in all, I added three inches of material over all the beds. I prepared for a bumper crop. In spring of 2014, I had all of the shrubs in the side beds removed. The rear bed at the south end had already been cleared the season before. I pulled a lot of weeds, and moved some stray flower bulbs into a couple of spots I reserved for perennial flowers to call their own. 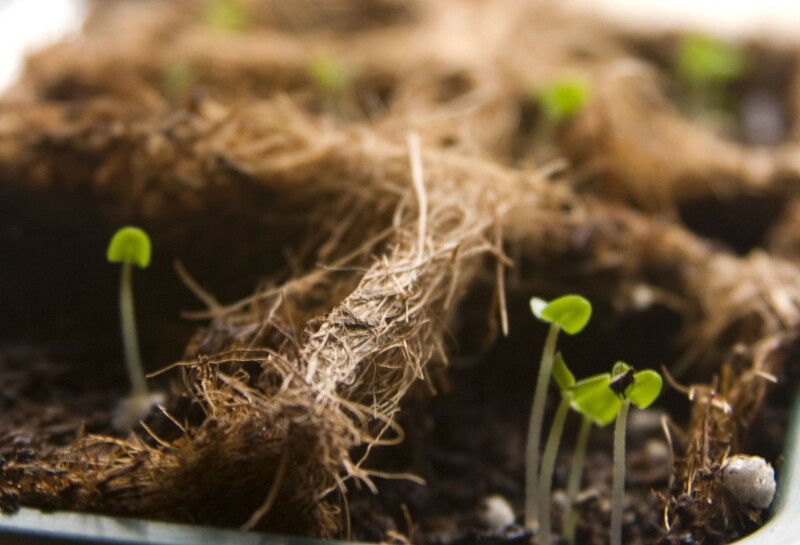 It’s part of my philosophy of growing food that starting the seeds is a critical and beautiful part of the process, not to be skipped in favor of buying seedlings. It’s also fraught with danger! My first attempt to start indoors in my new location was an intentional experiment. I live in the city, on the ground floor. My kitchen window faces the back yard, south-facing, but is shielded on the left and right by exterior walls. At best I get an hour of direct sun in the spring coming through that window.